Smith's research focuses on computer-mediated collective action: the ways group dynamics change when they take place in and through social cyberspaces. Many "groups" in cyberspace produce public goods and organize themselves in the form of a commons (for related papers see: http://www.connectedaction.net/marc-smith/). Smith's goal is to visualize these social cyberspaces, mapping and measuring their structure, dynamics and life cycles. 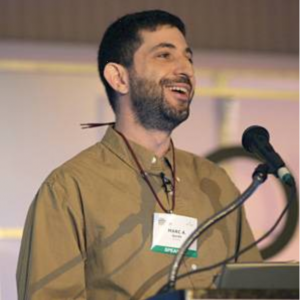 He contributes to the open and free NodeXL project (http://www.codeplex.com/nodexl) that adds social network analysis features to the familiar Excel spreadsheet. 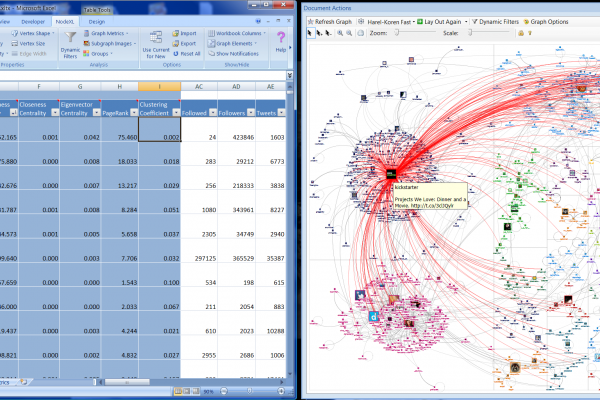 NodeXL enables social network analysis of email, Twitter, Flickr, WWW, Facebook and other network data sets. The Connected Action consulting group (http://www.connectedaction.net) applies social science methods in general and social network analysis techniques in particular to enterprise and internet social media usage. SNA analysis of data from message boards, blogs, wikis, friend networks, and shared file systems can reveal insights into organizations and processes. Community managers can gain actionable insights into the volumes of community content created in their social media repositories. Communities in Cyberspace was among the earliest studies of the emerging world of social media, online and virtual community, social software, collaboration, and social networking. NodeXL makes social network analysis as easy as making a pie chart. Over four years the NodeXL project team has released over a hundred updates to enhance the tool so that it is the easiest path for non-programmers to access, analyze, and visualize networks, often from social media sources like Twitter, Facebook, email, flickr, YouTube, and more. Analyzing social media networks with NodeXL: Insights from a connected world is a introduction and guide to the use of social network techniques to better understand social media. People are talking about your product, group, business, event or service in social media - do you have a map to the the key people and groups in the crowd? Using tools from social network analysis and visualization it is now as easy as making a pie chart to map the connections among the people who are talking about the topics of interest to you. 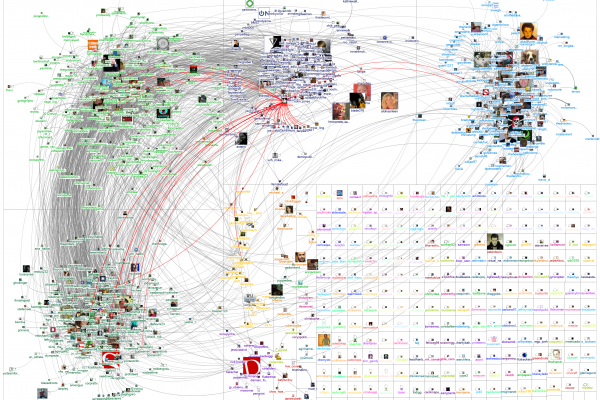 Using the free and open NodeXL application (http://nodexlcodeplex.com) you can quickly collect and map conversation networks on a wide range of topics.